Our food is always 100% fresh and made from scratch on a daily basis. We use locally-grown and organic ingredients whenever possible and love supporting local growers and businesses. More importantly, we believe that eating healthy should be enjoyable. 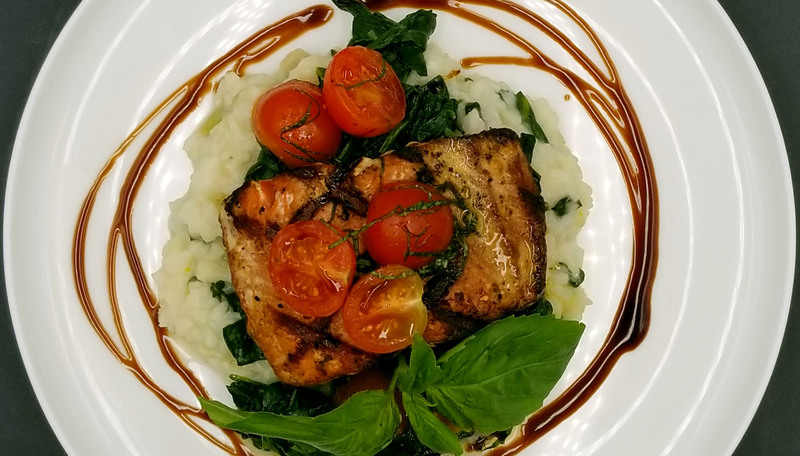 Our meals are prepared by professionally trained chefs who take great pride in preparing food that is as visually appealing as it is delicious. We offer a broad menu of inventive dishes features a range of cuisines. 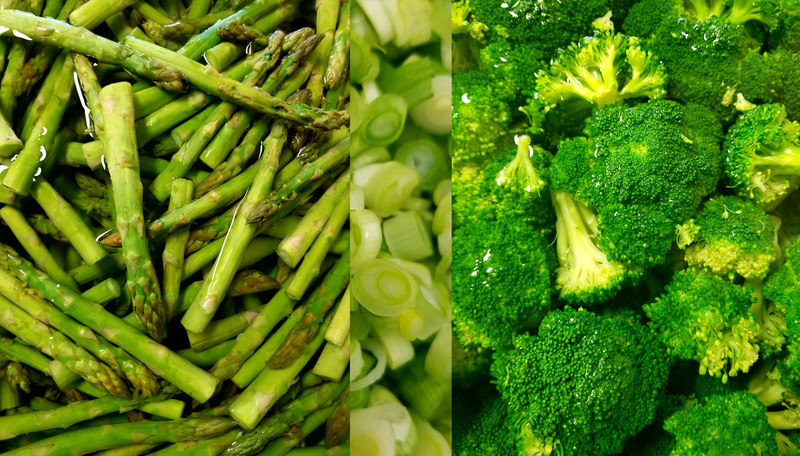 Our cooking is seasonal and reflects the best fresh foods available at the market. Most of us know that proteins are the building blocks for just about everything in our body: from enzymes and hormones to bones, muscles, and skin. The average adult needs between 60 and 80 grams of protein each day — or roughly three servings — to maintain muscle mass and effectively fight disease and infection. Protein can be found in eggs, cheese, and legumes (beans, peanuts, peas and soybean-derived foods); but, meat is the most complete source of protein and often the go-to source of the nutrition. 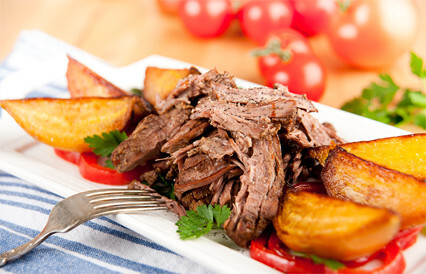 To reap the ultimate health benefits from meat, it’s important to think lean. Fruits and vegetables contain essential vitamins, minerals, and fiber that may help protect you from chronic diseases. Compared with people who consume a diet with only small amounts of fruits and vegetables, those who eat more generous amounts as part of a healthful diet are likely to have reduced risk of chronic diseases, including stroke and perhaps other cardiovascular diseases, and certain cancers. Substituting fruits and vegetables for higher-calorie foods can be part of a weight loss strategy. We strive to buy as many ingredients locally as possible because local farmers often are organic producers who employ earth-friendly farming methods or raise free-range animals and buying locally means less fuel burned to transport food, which means less pollution. These little beans are packed with health-boosting nutrition and are even believed to contain healing and curative properties especially helpful in the battle against heart disease, various cancers and of less terminally dangerous health issues including menopause. Not only do these beans contain a high amount of vegetable protein, but they also contain iron and fiber as well as the highly rated Omega 3 healthy fats. Everyone knows nowadays that Omega 3s, promote good health for your heart and circulatory system. Quinoa (pronounced keen-wah) is not a grain; it is actually a seed and related to the spinach family. When cooked, quinoa is light, fluffy, slightly crunchy and subtly flavored. It actually cooks and tastes like a grain, making it an excellent replacement for grains that are difficult to digest. Over 5000 years ago the Incas cultivated the grain-like seed quinoa as one of their staple crops. Now science has shown that this humble “grain” is actually a superfood! Quinoa is full of phytonutrients, antioxidants AND can even help balance your blood sugar. As a result, people everywhere are discovering the benefits of quinoa, a delicious whole “grain” that is easy to digest, full of high-quality protein and fiber, and can form the basis for a delicious healthy meal. Our delivery meal programs use food that is always 100% fresh and made from scratch each day. We use locally grown ingredients whenever possible, and love supporting local growers and businesses. More importantly, we believe that your delivered meal should be enjoyable. Or are just too busy to cook for yourself. Constant new items prevent your taste buds from being bored and provides a full range of nutrients on a daily basis. We use cooking techniques like grilling, boiling, and roasting that allow the true flavors of our foods to come though. We’re constantly creating new items so that after you taste buds never gets bored and your body gets the full range of nutrients it needs on. We like to cook with foods that are whole and natural-not highly processed or full of artificial ingredients. Whole and natural foods taste better and they minimize things we don’t need like excess sodium, empty calories, and trans-fatty acids. Our meals offer the right balance of nutrients to support a healthy lifestyle. Each one is sensibly portioned, to meet your needs. 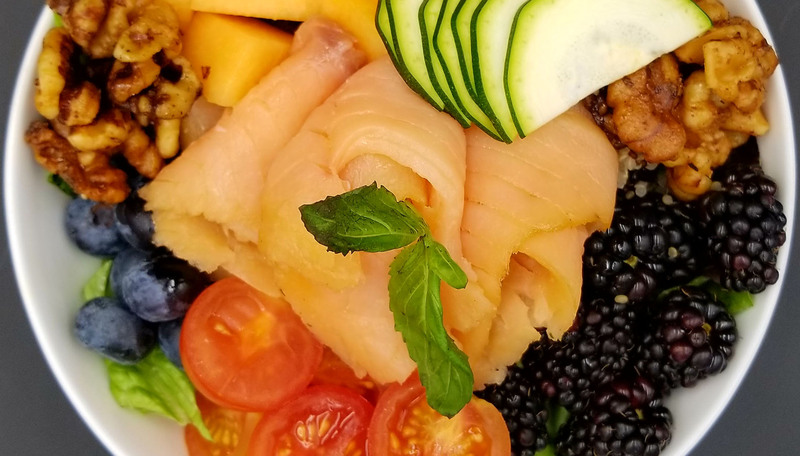 We favor good carbohydrates from whole grains, healthy oils and fats such as those found in olives and nuts, and leaner sources of protein such as poultry and fish. 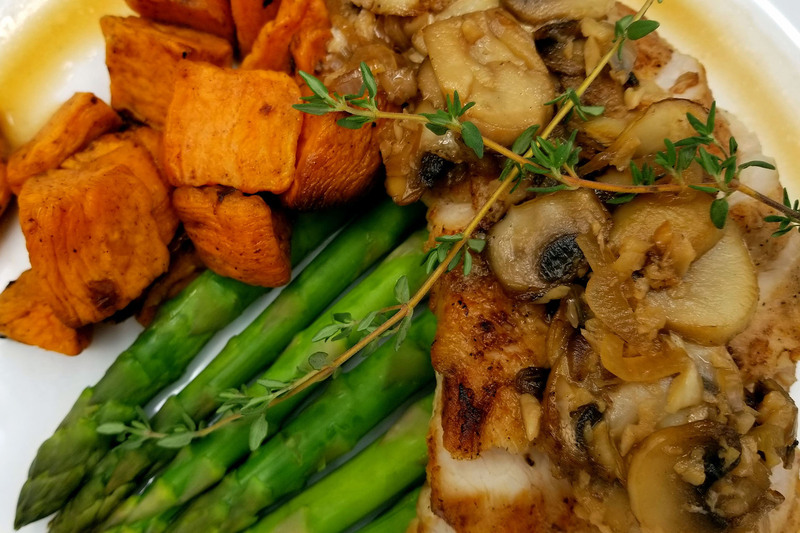 We offer structured meal plans individually customized, to your goals. 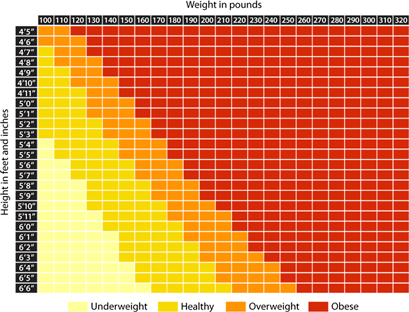 How does proper diet and optimal eating help promote weight loss? The routine of your diet plays a major role in how you store, burn and metabolize your meals. Food is fuel that your body needs to break down into tangible and useful components. All of the sugars, nutrients and proteins in your diet have a specific purpose for maintaining your body’s health. The single most important factor in weight loss and weight management is eating the right number of calories. Weight loss happens when the number of calories you consume is less than the amount of energy you expend. Maintaining your current weight happens when calorie intake is in balance with energy expended. 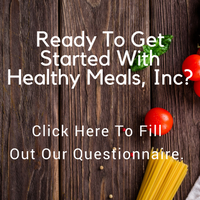 Healthy Meals, Inc. selections are personalized to individually formulate a favorable macro nutrition breakdown. “Four months ago, as a gift to our son, my husband and I decided to help him with his weight loss goals. After doing research on companies which provided meal service delivery plans in the Kansas City area, decided to use Healthy Meals. Healthy Meals, Inc meal plans are more than diet food. They are designed to meet your daily calorie needs, spaced evenly throughout the day, by providing you with three meals and two snacks. By eating more frequently throughout the day, you help to maintain a consistent blood sugar and energy level and avoid the binging that often comes after long periods without eating. 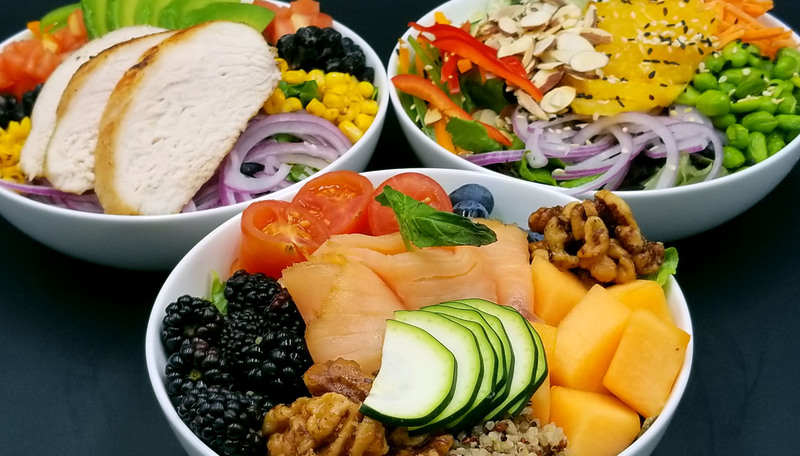 Healthy Meals, Inc tailors portion sizes to your specific needs, while preparing whole foods that naturally help you feel more satisfied after eating. If you are seeking to manage your weight, or start a diet plan, we encourage you to sign up to receive Healthy Meals, Inc delivered at least five days per week. The longer you stay with us, the better your results can be. Not only can we help you lose weight, you’ll experience greater energy and vitality. 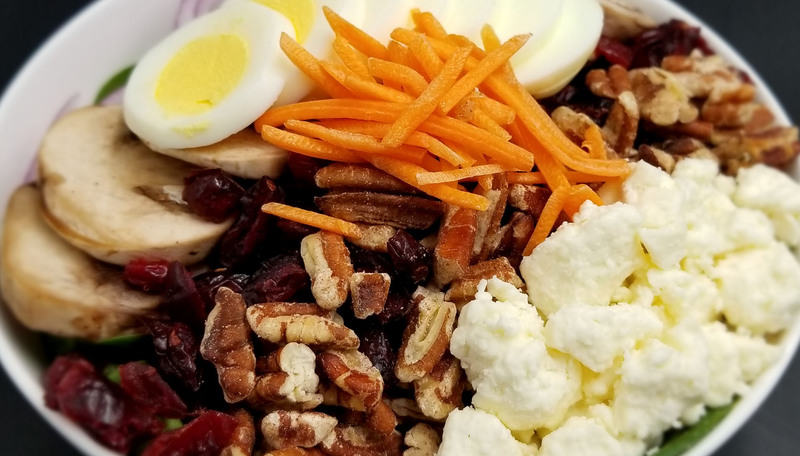 We have many clients who have successfully reached their weight loss goals and remain on Healthy Meals, Inc meal plans to continue to maintain their ideal weight. 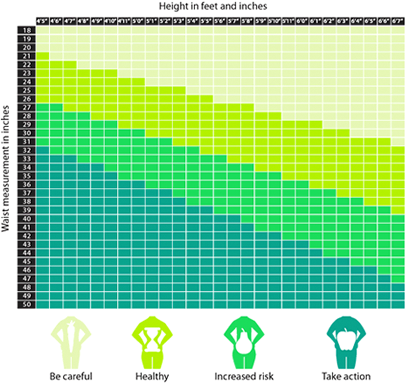 For more information and to calculate your own BMI, consult the US Dept of Healthy and Human Services. Eat like a caveman and shed pounds. That’s the theory behind the Paleo Diet. 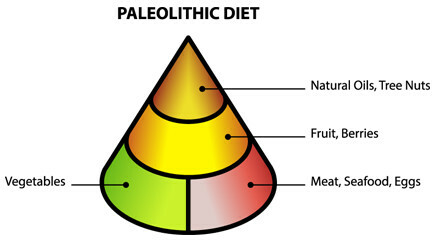 At it’s core, The Paleo Diet, claims that by eating like our prehistoric ancestors, we will be leaner and less likely to get diabetes, heart disease, cancer, and other health problems. 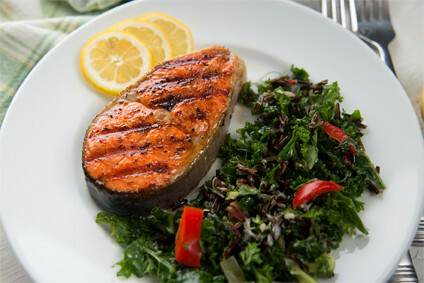 Go Paleo, and you’ll eat a lot of fresh lean meats and fish, fruits, and vegetables, and healthier fats. Healthy Meals, Inc will never serve processed foods and this diet is certainly no exception. And since our ancestors were hunter-gatherers, not farmers, say goodbye to wheat and dairy, along with other grains and legumes (such as peanuts and beans).